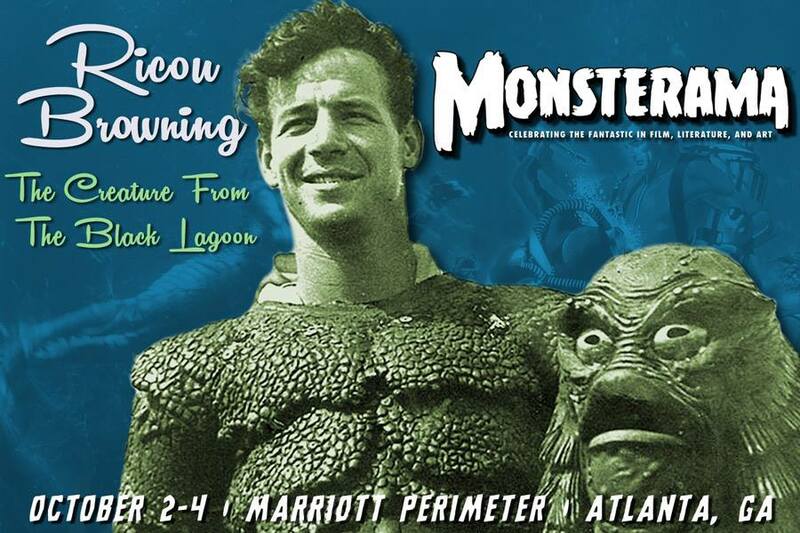 Ricou Browning, “The Creature”/ “The Gill-Man” extraordinaire and legendary underwater stuntman, director, actor and screenwriter will be lurking amongst the monsters at the second annual Monsterama Convention, founded by our classic monster-lovin’ fiend, friend and ATLRetro contributing writer, Anthony Taylor! Monsterama creeps into town at the Atlanta Marriott Perimeter Center this weekend, Oct. 2-4! Browning will be joined by a guest list filled to the blood-curdling brim with classic horror connoisseurs like independent filmmaker Larry Blamire (THE LOST SKELETON OF CADAVRA); horror history aficionado and documentarian, Daniel Griffith of Ballyhoo Motion Pictures [July 2014; See ATLRetro’s Kool Kat feature on Daniel here]; Shane Morton, ghost host with the most, a.k.a. Professor Morte [June 2011; see ATLRetro’s Kool Kat feature on Shane, here]; Victoria Price (daughter of the legendary Vincent Price); spooktacular actresses, Lynn Lowry (THE CRAZIES; SHIVERS) and Candy Clark (AMERICAN GRAFFITI; THE MAN WHO FELL TO EARTH); glamour ghoul Madeline Brumby [October 2011; see ATLRetro’s Kool Kat feature on Madeline, here] and so much more! So, haunt on down to Monsterama this weekend and prepare for a ghastly weekend of ghoulishly maniacal mayhem! 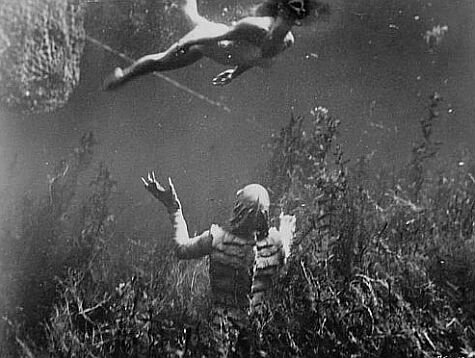 Browning, the last of the original Universal Monsters is best known for his portrayal of “The Gill-Man” (underwater scenes) in Jack Arnold’s monster classics, THE CREATURE FROM THE BLACK LAGOON (1954); REVENGE OF THE CREATURE (1955); and THE CREATURE WALKS AMONG US (1956). He began his cinematic career at Wakulla Springs performing in underwater sports newsreels (alligator wrestling and more!) with Grantland Rice Films, and even played a role in bringing to life, with his “hose breathing technique,” the famous Weeki Wachee Mermaids, whose shows he later produced. Browning’s cinematic career spans many decades and genres, including underwater sequence work for Richard Fleischer’s 20,000 LEAGUES UNDER THE SEA (1954); Terence Young’s THUNDERBALL (1965); Harold Ramis’ CADDYSHACK (1980); and an episode of BOARDWALK EMPIRE (2010). 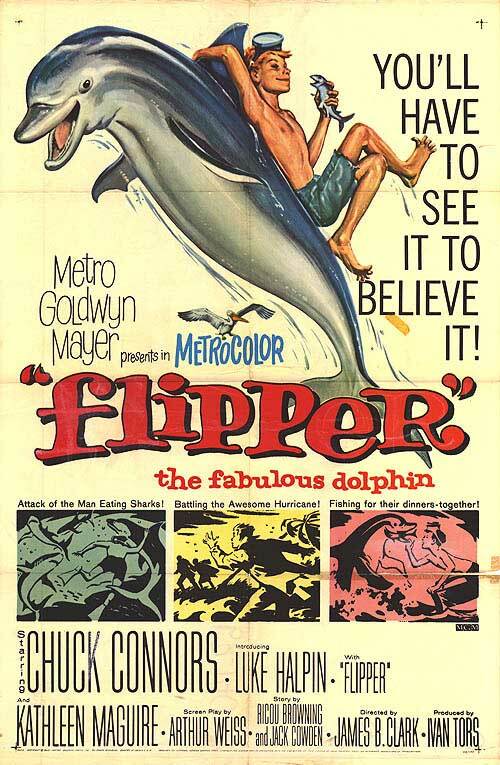 He is also co-creator, with Jack Cowden, of the beloved ‘60s television series (and films) FLIPPER, and so much more! In 2006, Browning was awarded Film Florida’s first Florida Legends Award, followed by his induction into the Florida Artists Hall of Fame in 2012 for his wide range of cinematic accomplishments. ATLRetro caught up with Ricou Browning for a quick interview about the birth of and morphing into “The Gill-Man”; about his expansive experience in the land of film; and his take on special effects and monster kids of all ages! And while you’re takin’ a gander at our little Q&A with Browning, catch “The Creature” in action here! ATLRetro: As the only actor to portray “The Creature” more than once, you will forever be known as “The Gill-Man” to monster kids worldwide. And of course, we at ATLRetro are “Creature” fanatics! Can you tell our readers a little about how Jack Arnold discovered you for the role of “The Gill-Man,” and what kept you swimming back for more? Welbourne asked me if I would swim in front of the camera so he could get some perspective of the size of a human being compared to the fish, the grass, the logs, etc. So I did. They enjoyed the Springs and they enjoyed the river. Afterwards I took them back to the airport and they left. About a week later I got a call from Newt Perry again, and he said that they were trying to get a hold of me from California and that he gave them my phone number. 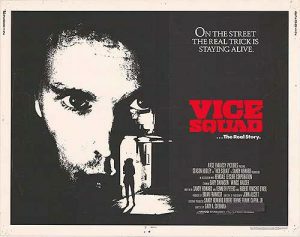 That same day I got a call from Jack Arnold, who turned out to be the director of the film. He said, “We saw the photo footage that Scotty shot. We like the way you swim. How’d you like to play the part of an underwater monster?” I said, “sure, why not?” So I went to California and spent a number of weeks building the costume, and it turned out to be a bad one. So they remade the suit, and I came back to Florida and we started shooting the underwater sequences for the film. Any special behind the scenes experiences you’ like to share with our readers? One experience that I had is that while filming we shot in the wintertime and even though the water temperature was 71 degrees while the air temperature was around 49 degrees, we worked from a barge down in the middle of the spring and I was in and out of the water all day. After coming out of the water, they would take the head off my suit and my hands and my feet and I would be sitting there waiting to go over the next scene. I was shivering and the crew felt sorry for me. So every now and then somebody would come back to give me a little shot of brandy. After a few shots of brandy The Creature couldn’t swim very well, so they had stop that. You got the joy of terrifying generations of unsuspecting audiences as a classic Universal monster, which of course spawned fan-driven conventions, such as Monsterama Con. 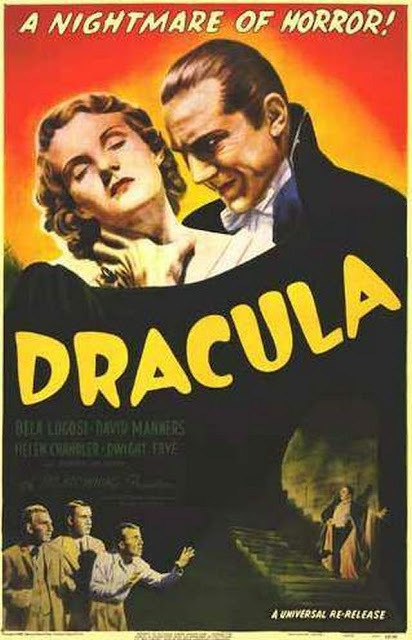 What do you think it is that keeps generation after generation returning to classic monster movies? Tell us a little about your fans over the years. I didn’t start getting requests for photographs until about 20 years after the film was made. I only had a few at that time, so I would mail them to the fans and then I’d get more requests. I gradually built up a large number of pictures and started attending shows signing autographs. What do you think about the advent of computerized special effects and the more hands-off approach to filmmaking? They talk about making a remake of THE CREATURE FROM THE BLACK LAGOON. Whether they will or not, I don’t know. But I hope they make it very similar to the way we did it, with human beings and not just computer special effects, because they overdo that. I think if it were done sparingly, it would be okay. When you were growing up, did you dream of working on films? Or did the chance just happen upon you? Can you tell our readers a little about your introduction to the industry? The first time that I worked underwater on films, it was for Grantland Rice Sports Films. They did crazy things at the Wakulla Springs like underwater picnics, underwater prize fights, etc. They made a bunch of different crazy things that were used as short subjects at the end of movies in a theater. Who were your favorite monsters as a kid? My favorite monster was “The Wolfman” Lon Chaney Junior. You have proven over many decades to be a well-sought after jack of all trades (underwater cinematographer, stuntman, actor, producer, director, screenwriter, etc. ), and you’re still at it! What project would you say is your favorite? I think one of my favorite movies that I worked on was FLIPPER. 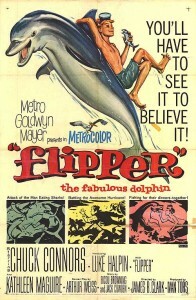 Jack Cowden and I created the television show FLIPPER, on air for four years (’64-’67), and then we made the two features (1963; 1996). We read that you and your team were chosen over Jacques Cousteau to provide your services for several James Bond films, including THUNDERBALL (1966). Did you enjoy working on the Bond films? I really enjoyed working on the James Bond films, THUNDERBALL and NEVER SAY NEVER AGAIN. Enjoy the Film presents Monsters in Black and White; Cinevision Screening Room (visit the event page for address and directions); All tickets $10 (Atlanta Film Festival members save 20%). 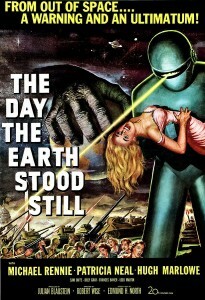 THE DAY THE EARTH STOOD STILL (1951); Dir. Robert Wise; Starring Michael Rennie, Patricia Neal and Hugh Marlowe; Thursday, Oct 23 @ 7:30 p.m.; Tickets here; Trailer here. DRACULA (1931); Dir. TodBrowning; Starring Bela Lugosi, HelenChandler and David Manners; Thursday, Oct 30 @ 7:30 p.m.; Tickets here; Trailer here. 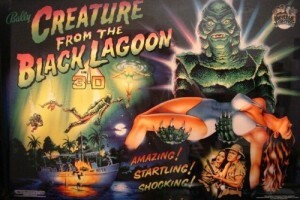 CREATURE FROM THE BLACK LAGOON (in 3-D) (1954); Dir. JackArnold; Starring Richard Carlson, Julie Adams and Richard Denning; Saturday, Nov 1 @ 7:30 p.m.; Tickets here; Trailer here. Halloween has once again swept in, carrying along with it a nostalgia that evokes childhood memories of ghost stories, trick-or-treating, dressing like monsters or simply watching them on the screen. It’s the perfect time for projectionist extraordinaire Ben Ruder to team up with the Cinevision Screening Room to bring us Monsters in Black and White: a series of films celebrating not only the monsters of old, but the formats that brought them to us. 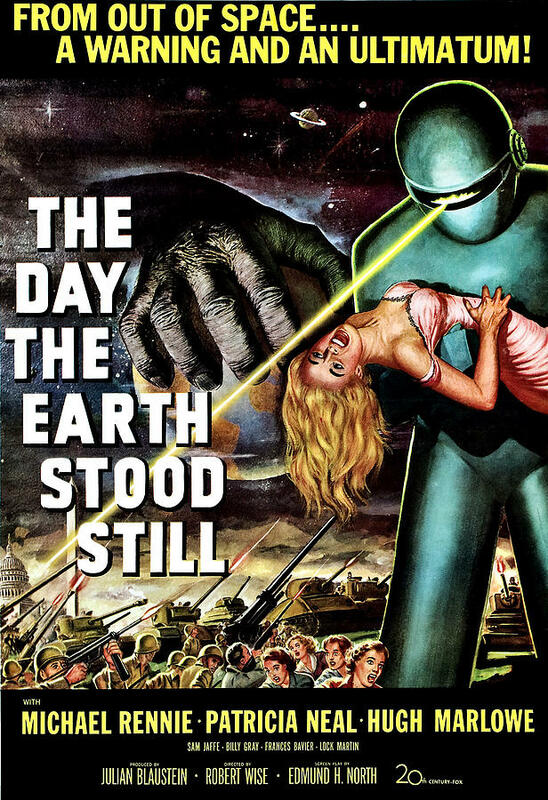 THE DAY THE EARTH STOOD STILL and DRACULA will be presented in gorgeous 35mm, and CREATURE FROM THE BLACK LAGOON will screen in a restored Dolby Digital 3-D projection. All three will, of course, unspool on the screen in glorious black and white! Each screening will be introduced by a very special guest (check the Enjoy the Film website for up-to-date listings), but the night before Halloween will see Kool Kat Shane Morton, also known as, Ghost Host with the Most—Professor Morté of the Silver Scream Spookshow—materialize with a bevy of bloodsuckers to deliver Bela Lugosi in DRACULA! Ben Ruder has been a constant fixture of Atlanta film screenings for close to a decade now. 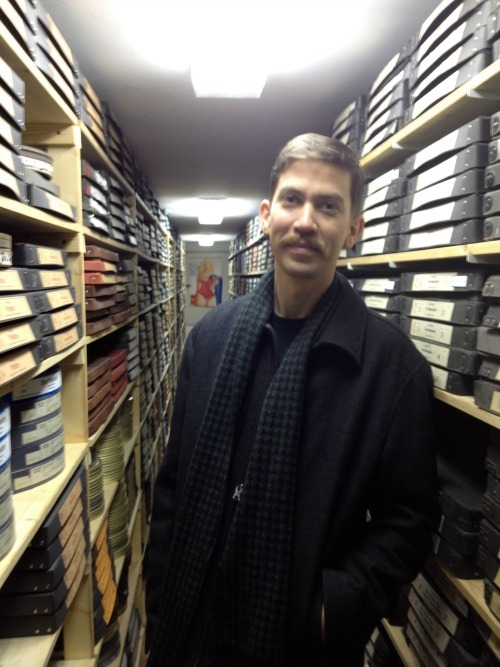 A former projectionist and manager at the Plaza Theatre, he now runs free 35mm screenings for Emory University’s Cinematheque (which sources its pristine prints from the UCLA Film & Television Archive) and hosts special film events at the Cinevision Screening Room through RuderMedia and Enjoy the Film. I recently asked him about this month’s film series, the importance of presentation, and the futures of both film and digital as media. ATLRetro:Celebrating the 35mm format is certainly bucking the trend in Atlanta, with so many venues converting to digital projection. But at the same time, it’s a huge topic of conversation in the nationwide film community, especially this month with Quentin Tarantino‘s recent takeover of management of the New Beverly Cinema in Los Angeles. What fuels your passion for the format, and your efforts to keep it alive? Ben Ruder: I really enjoyed showing movies and running theaters in the mid ‘90s in St. Louis. When I returned to the world of movies in the mid-2000s, running film and then managing the Plaza Theatre for Jonny & Gayle Rej, the bug really stuck and I have been involved in it ever since. Both analog and digital formats have their place and it’s really the quality of the product and presentation that’s important. The film prints that were exhibited should still be seen if they can be done well, but for many reasons they no longer exist or the quality is bad. New prints happen on occasion, but are very expensive and rarely see much of a run. Movies can be accessed in countless forms these days, but they are really intended to be seen on a large screen with an audience. On a related note, what are your thoughts on the push for digital archiving? There are currently a lot of back-and-forth talks between Kodak, Fujifilm and the major studios about keeping archival film in use, with the studios pushing for digital. It’s extremely complicated, of course, and it comes down to business decisions as funds are limited. 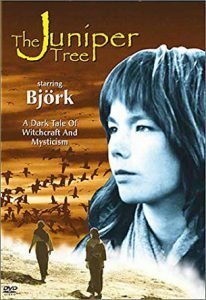 The US has produced so much great film art and puts so little behind the preservation of it in comparison to countries like France, Germany, Norway just to name a few. 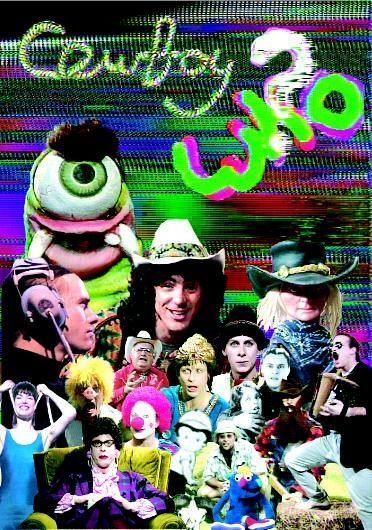 Here, a lot of the work is up to private organizations and institutes such as the UCLA Film & Television Archive. 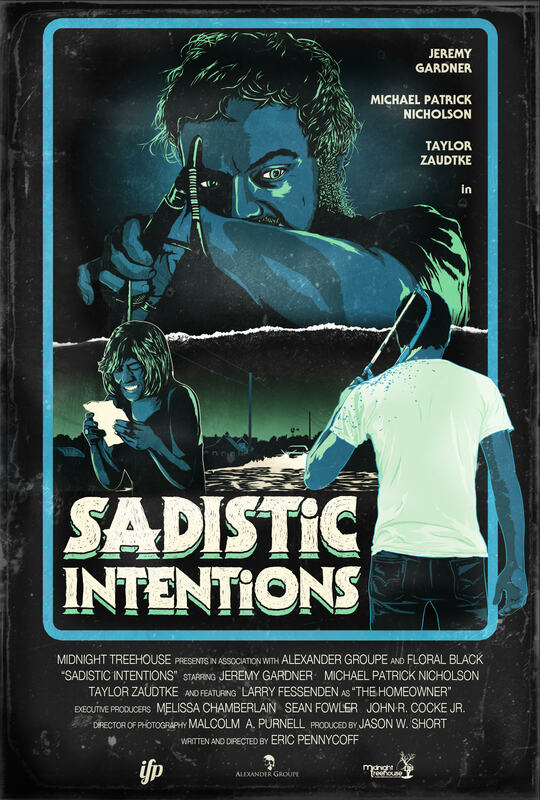 What went into choosing which films you were going to showcase at these screenings? Were they personal choices, or technical ones? These films were chosen because of the Halloween season, of course, but also because they have all screened in that room before and we know how amazing they look and sound. The presentations will be in a room designed for technical performance, and unfortunately mass audiences don’t get the showmanship or quality that they deserve in many venues. I want to show how much the presentation factors in to seeing a movie. The multiplexes are no longer filled with scratched & dirty film prints, but still can suffer from dim bulbs and misaligned 3-D equipment. The Dolby Digital 3D that will be shown is not seen in very many venues, but will really show off how well 3D can look when done right. What do you think the future holds for film in the motion picture world? Do you see a developing backlash against digital or will film be largely relegated to repertory screenings and the like? Or do we face a future where digital becomes the accepted new format? Digital is the accepted new format. I wouldn’t want to see a new action blockbuster on film that was shot and processed with digital in mind. Special films like the upcoming INTERSTELLAR 35mm & 70mm shows may lead the way for unique events. We just need to make sure that passionate and educated staff are taking care of the presentations and equipment. 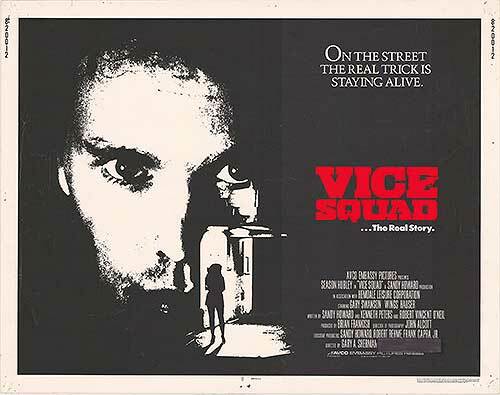 Are there any other screenings or projects in the works for RuderMedia and Enjoy the Film? Any future stuff we oughta know about? I am working with the team at Cinevision on a four-feature series for January and we are seeking out groups that want to see all kind of genres on the big screen. 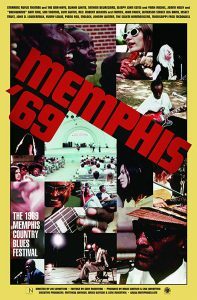 Whether it’s horror, foreign, film noir, action or just titles that don’t get an Atlanta date. We want to show people movies in the best possible way and make each show special. During the winter months, I’ll be focusing efforts on producing a documentary series about the passionate exhibitors & preservationists that I love talking to and heading to Germany to interview some film veterans there. 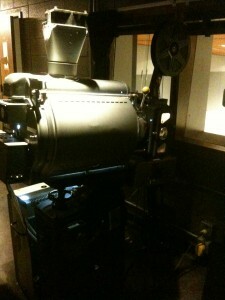 I can also be seen this fall up in the booth projecting 35mm at the free Emory University screenings. So there you have it. 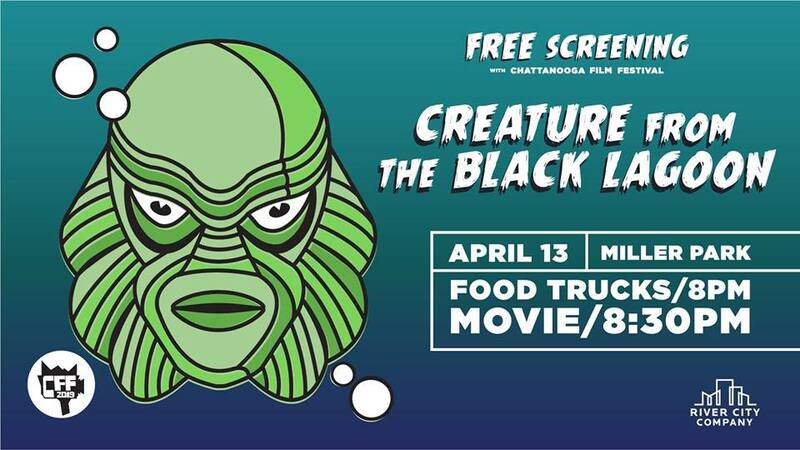 Come out to the Cinevision Screening Room to catch three retro creature features the way they should be seen: on the screen, with an audience and with experts handling the projection for the best possible viewing experience. For a film geek like me, it’s a means of presentation that has yet to be bettered. All photos courtesy of Ben Ruder and used with permission. 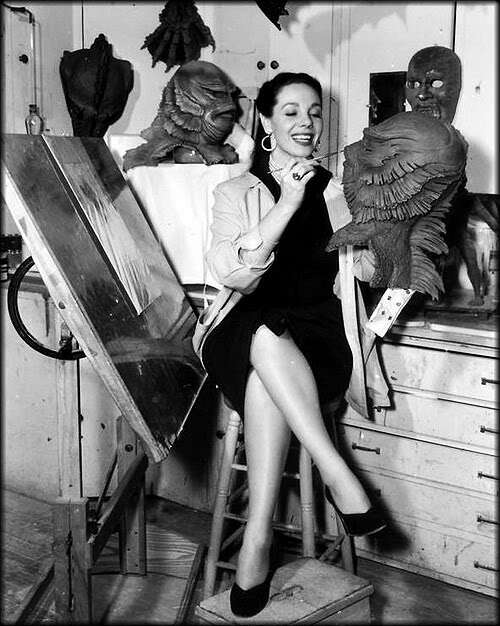 Millicent Patrick poses with the head she designed of THE CREATURE FROM THE BLACK LAGOON. Photo credit: Universal Pictures, 1954. 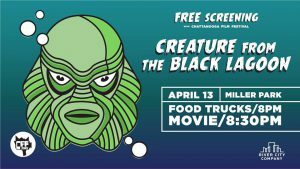 Silver Scream Spookshow Presents THE CREATURE FROM THE BLACK LAGOON in 3D (1954); Dir: Jack Arnold; Starring Richard Carlson, Julie Adams, Richard Denning and Ricou Browning; Sat. 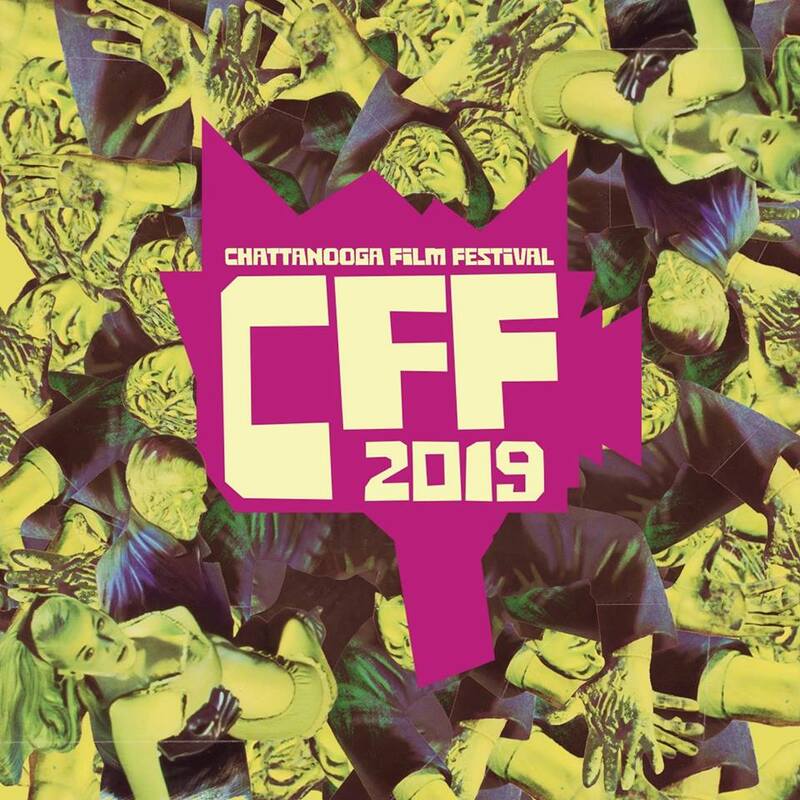 June 30; kids matinee at 1 PM (kids under 12 free & adults $7) and adult show at 10 PM(all tickets $12); All proceeds of today’s shows benefit Atlanta’s oldest running independent cinema, the nonprofit Plaza Theatre; Trailer here. All the ladies know that the Creature from the Black Lagoon is the sexiest of the Universal monsters, but do you know why? We asked Professor Morte, the horror host with the most, and he didn’t hesitate to reveal the terrifying truth. His look was designed by a woman – Millicent Patrick. For years, make-up artist Bud Westmore hoarded the credit and downplayed Millicent’s role, which went uncredited. Sadly when Universal considered sending the attractive Patrick out on a CREATURE promo tour as “The Beauty Who Created the Beast” in 1954, Westmore intervened and refused to hire her again, putting a stop to an effects career which also included the mutants in THIS ISLAND EARTH (1955), the masks in ABBOT AND COSTELLO MEET DR. JEKYLL AND MR. HYDE (1953), THE MOLE PEOPLE (1956) and the Xenomorph from IT CAME FROM OUTER SPACE (1953). That Millicent was not one to toot her own horn and led a private life did not help in getting the word out about her talented achievements in SFX make-up. What we do know is that she was a strikingly attractive woman and a Disney-employed animator, that she appeared in more than 20 movies and 12 TV series, and she was married and divorced twice to actor George Tobias. She was born Mildred Elizabeth Fulvia di Rossi and may or may not have been an Italian baroness. The Screen Actors Guild has no date for her death and no address since the early 1980s. It was made from airtight molded sponge rubber. The underwater suit was painted yellow to make it easier to see in dark water. A rubber hose was used to feed air into the suit. 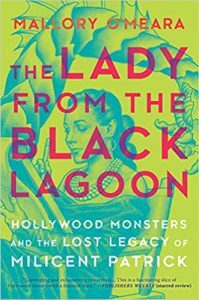 Editor’s note: There aren’t many articles about Millicent Patrick and her work on CREATURE FROM THE BLACK LAGOON. Thanks to Horror Icon: Millicent Patrick by Mary Parker which appeared in the St. Louis Horror Movies Examiners for much of the material used in this piece. For more information, we’ve been told to dig up Filmfax, issue 100, or Famous Monsters of Filmland, #145.